When I married my husband and moved here, his yard was a jungle of plants. Not being a gardener, my first inclination was to bulldoze the entire thing. Better judgment won out. I have cleaned some flower beds and have been rewarded with beauties, like this Lily of the Nile. Editor's Note: We have corrected the title to correctly identify the flower as an iris. 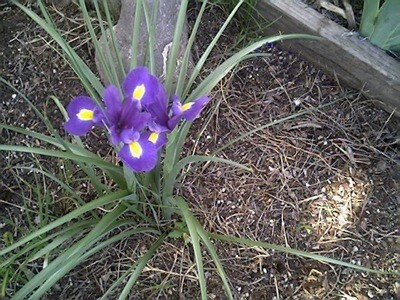 Beautiful, but not a lily of the nile, it's an iris. Thank you for correcting me. As I stated, I am not a gardener. A local gardener told me that was what it was, so I took his word for it. It looks different from the irises that are growing near it, so I suppose its a different species? Thank you for the compliment, and I do appreciate the correction.